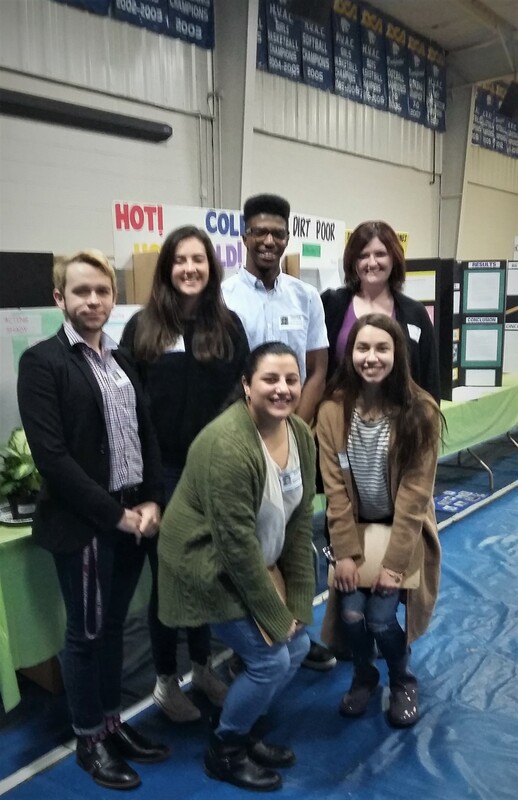 For the second year in a row, Dr. Danielle Garrett, assistant professor of chemistry education, was invited to judge the Donelson Christian Academy (DCA) 6th – 8th grade science fair. Belmont undergraduate students Christopher Hansen (chemistry & French double major), Alex Ficarro (neuroscience major), Deviyani Bajpai (neuroscience major), D Newsome (computer science major) and Clancy Lyles (economics major) assisted Garrett as judges. More than 80 projects were on display featuring a variety of topics that included both the physical and biological sciences. “Science fairs are so important because even though kids that age don’t really know what they want to be, they get to have a taste of what scientific research is actually like. Taking science out of the classroom allows kids to understand that science isn’t just something to be learned, but discovered,” Ficarro said.